The California Fish and Game Commission voted on June 4 to grant endangered species protections to gray wolves. This is the first time the state has stepped into the issue over the species, which is losing protection and being killed in several states, and which is expanding to territories it had not inhabited for decades in others. One such territory might be the Golden State itself, where a gray wolf pup was spotted in the northern part of the state in 2011. Environment authorities believe that pup later found a mate and began denning in Oregon. California now joins Oregon and Washington in providing safe passage for these wolves that are repopulating their former range. This comes at a time when wolves in other states have not been so lucky; 80 percent of those in Wyoming can be shot on sight after the state marked them a "trophy game animal." Environmental groups thus applauded California for making the correct choice on gray wolves. Amaroq Weiss, of the Center for Biological Diversity, remarked, "The Pacific states are the last, best place for wolves. We have the progressive attitudes and social values where people embrace wildlife, no matter if it's got teeth or claws." Experts believe the wolves denning in Oregon will eventually establish a pack in northern California. Damon Nagami, an attorney for the Natural Resources Defense Council, declared, "While other states bicker and quarrel, California adds the latest chapter to one of the world's greatest biological success stories. The dispersal of wolves out of the northern Rockies will help to bring balance to other ecosystems in need of their stabilizing influence." 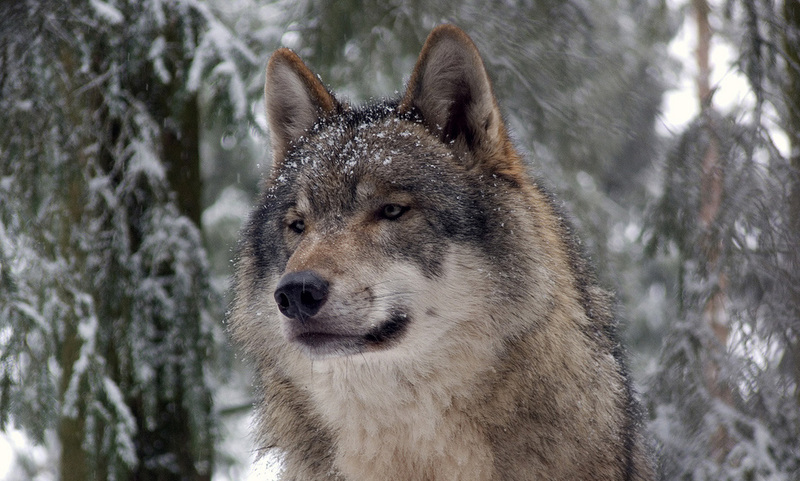 Gray wolves have taken much flak from oppositional groups, which include hunters and ranchers. They have been called everything from "killing machines that gut calves for fun" to "coyotes on steroids that will take livestock, attack ranchers, and ruin the industry." These claims, however, are greatly exaggerated, and do not match up with the fact that gray wolves' population in such areas continues to be sparse. In Oregon, there are only a little over two dozen wolves, and this is the result of a reintroduction to Yellowstone National Park that began as far back as 1995. California Fish and Game Commission member Michael Sutton, a former Yellowstone ranger, said, "There is no more iconic animal in the American West than this one. We owe it to them to do everything we can to help them recolonize their historic range in our state." The Sierra Club stated, "Wolves are among the most charismatic animals in America. The howl of the wolf is emblematic of our country's last wild areas, a reminder of strength and beauty in the natural world. Wolves are vitally important to maintaining the natural balance, culling out weak and sick animals to keep populations in check. The rippling benefits of wolf reintroduction can be seen throughout the region - from the reappearance of willow and aspen trees, to the return of beavers, and increased populations of red foxes. Nevertheless, habitat loss, unregulated hunting, and negative stereotypes continue to reduce their numbers."